Here’s a jewelry component you don’t see very often, if ever. Caddisfly larva created casings. Kathy Stout and along with her Mom Marilyn Kyle and many good friends and jewelry designers, created Wildscape. Their Jewelry is One Of A Kind! 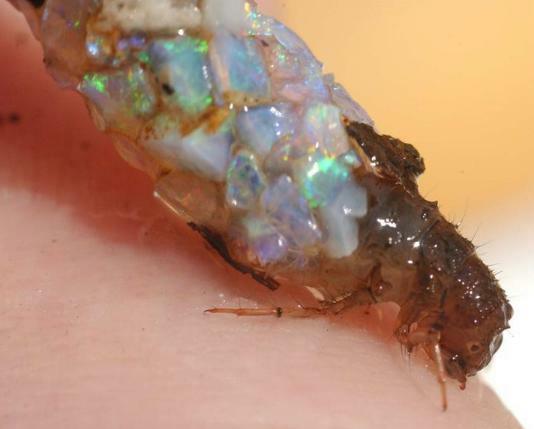 The caddisfly larva is an aquatic insect that creates a beautiful case out of stones. They use this case to create unique jewelry. The twist!! They raise the caddisfly Larva in a simulated stream and give them Gem Stones to build their cases with. Ben Stout, a biologist at Wheeling Jesuit University, designed the simulated steam that is used to raise the caddisfly larva. It took 3 years to perfect the steam, but when it was completed they had an opportunity to give the caddisfly larva a unique predator free environment to live in. And in return, they received a beautiful gemstone case after the adult emerged from its case. Wow, who would have thought that an aquatic insect would be such an amazing artist!! That was her thought when she saw these incredible insects at work. So now 14 years later, they are still at it! 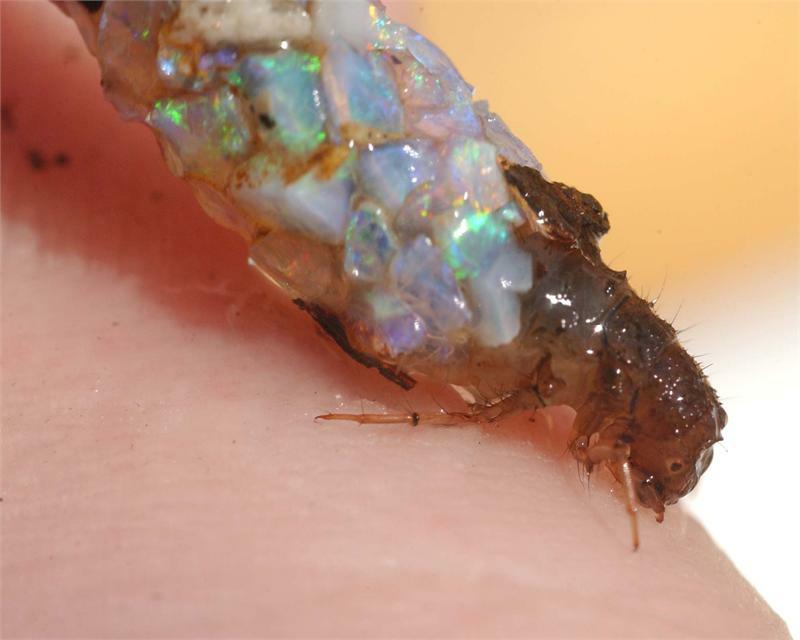 Each year new gem stones are given to the caddisfly larva and then they sit back and watch them create their works of art. 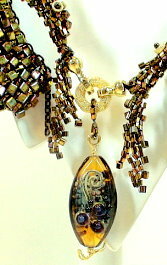 This entry was posted on June 21, 2009 at 9:27 am	and is filed under jewelry design. 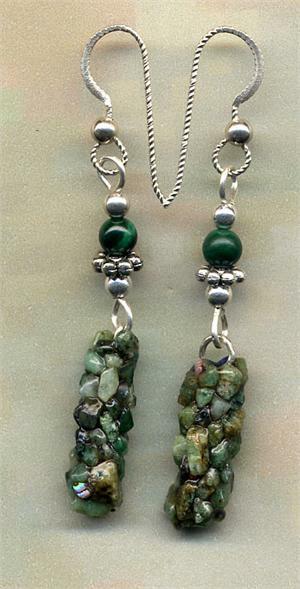 Tagged: caddisfly, gemstone, green jewelry, jewelry, jewelry components, larva, nature, pendant. You can follow any responses to this entry through the RSS 2.0 feed. You can leave a response, or trackback from your own site. It’s strange but I like it.